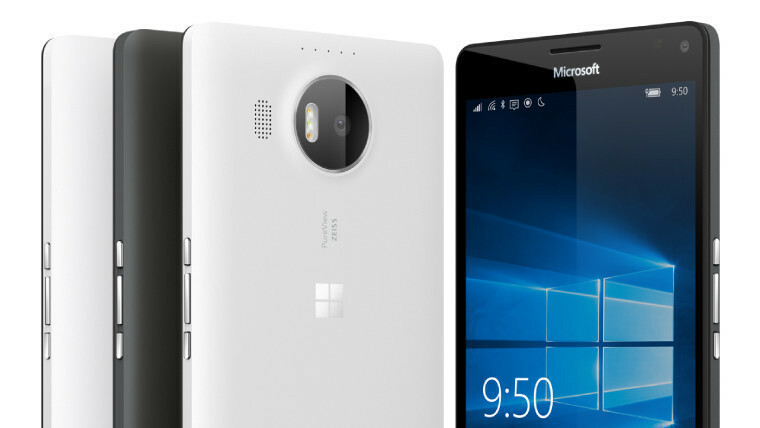 In recent days, Microsoft has been offering the Lumia 950 XL - its range-topping Windows 10 Mobile handset - for £289 in the UK, including a free Display Dock worth £79. 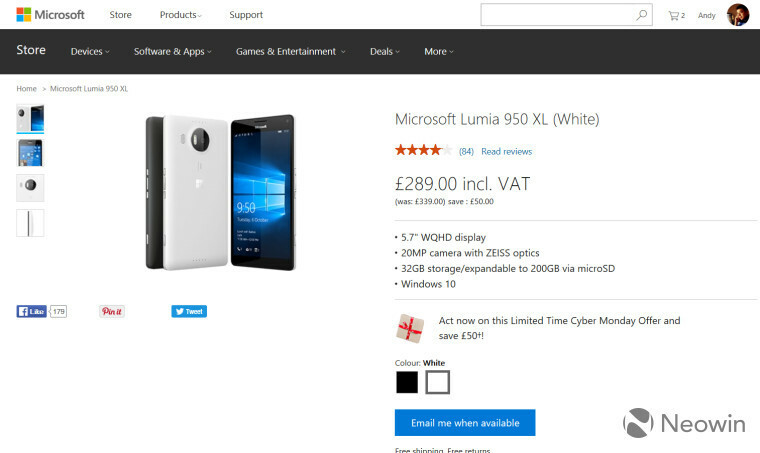 The cost of the 950 XL, and that of its smaller Lumia 950 sibling, have been falling since before the two handsets officially went on sale; the XL was originally listed at £549, and its most recent price of £289 was its lowest to date on the Microsoft Store. 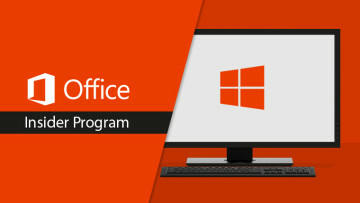 That offer was scheduled to end on November 28 - but while the small print on the store listing now indicates that it's been extended until December 16﻿ (and while the page still refers to it as a "Limited Time Cyber Monday Offer, despite supposedly being extended for a further two weeks), Microsoft no longer has stock of the Lumia 950 XL available, in either the black or white models. The 'add to cart' button has now been replaced by an 'email me when available' button - perhaps offering hope that more stock may be on the way. But it's worth noting that the Microsoft Store listing for the Lumia 950 displayed an identical 'email me when available' button for four weeks after stock of that device ran out, and it was only in the last few days that Microsoft finally updated the page with an 'out of stock' notice instead. Microsoft may yet surprise us by replenishing stock of the Lumia 950 XL on its UK store - and some other retailers still have stock remaining - but a year after its Windows 10 Mobile flagships were unveiled, it seems clear that they're now approaching the end of their retail lives. 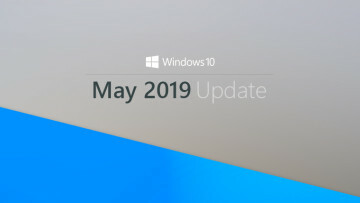 Meanwhile, over in the United States this past weekend, Microsoft offered a free Lumia 950 with purchases of the 950 XL for the third time this year. Both devices have now returned to their original prices, but the company has dropped its offer of a free Display Dock with either handset - which had been available since September - and the Dock is no longer listed on its US store.